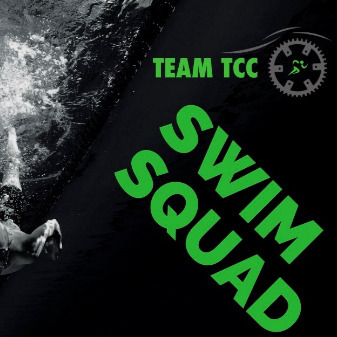 The Triathlon Coaching Company brings you a fully coached Team TCC Swim Squad session, lasting 1.5 hours and focusing on technique and fitness development the session, ran by Coach Chris we will give you the skills and the fitness to smash your goals for next season. 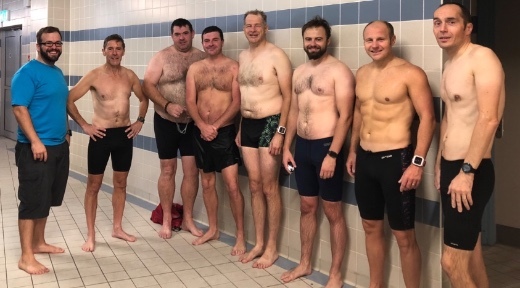 Held at Buckley Leisure Centre on Thursday mornings at 06.00-07.30 am you will have chance to get your swim in and still get to work on time and ready for the rest of your day. Spaces are limited and you need to book in advance so click the link below to book a space now! Input your payment details and fill in our client form. You will then get a confirmation email for your bookings! Coach Chris will guide you through the session giving you on deck feedback, technique adjustments and encouragement to take you to the next level in your swimming. Coach Chris has many years experience with swim squads and specialises in technique analysis and stroke development. From over 20 years of working with swimmers of all abilities he is focused on getting you swimming with great technique, less energy and the confidence that you can cover the distances for your race. 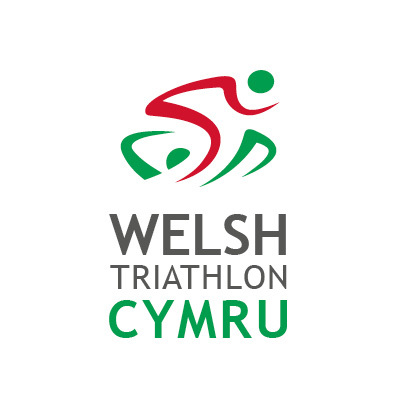 We are also an Welsh Triathlon affiliated club meaning you can, if you wish, race under Team TCC banner. 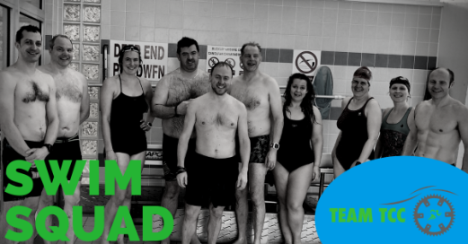 All our swim sessions are designed around improving your skills and developing your swim fitness to give you the knowledge and the confidence to swim well and enjoy swimming whilst you are at it. Our sessions are open to all athletes (not just Team TCC athletes), and you can come as little or as often as you want and aren’t tied in to anything. If you are a bit nervous about group sessions or feel that you may need some further coaching feel free to drop us a line and discuss it with our supportive coaches. Send an email Book Now! 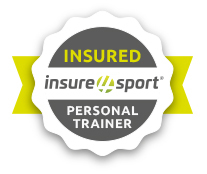 "A great session delivering exactly what I need to improve." "Well coached, hard work, well worth getting up early for!"